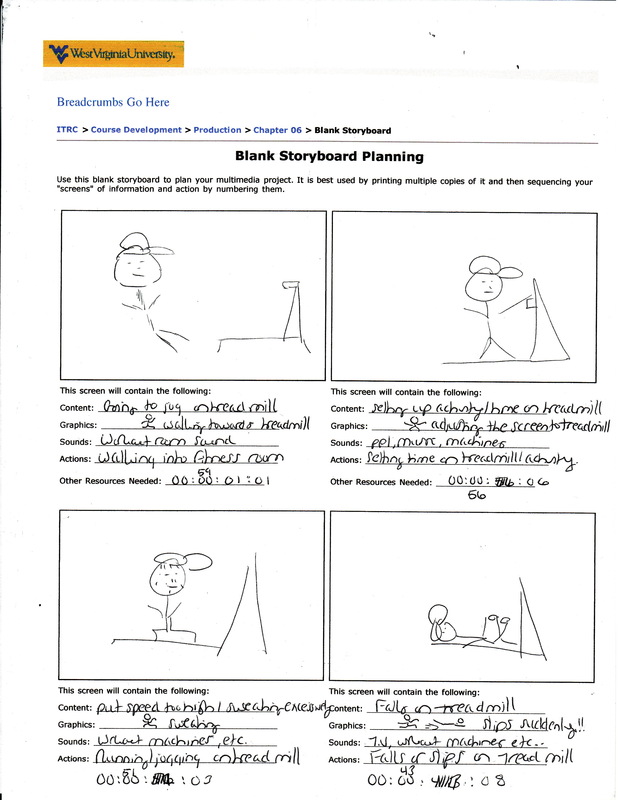 My storyboards consist of a women or men walking into a fitness room. Then they walk over to the tread mill and get there timing situation. But unfortunately he sets his time up to fast therefore he slips and falls. Suddenly he gets up and continues his jog on the tread mill, then he reaches a point when he finishes. Then walks away. 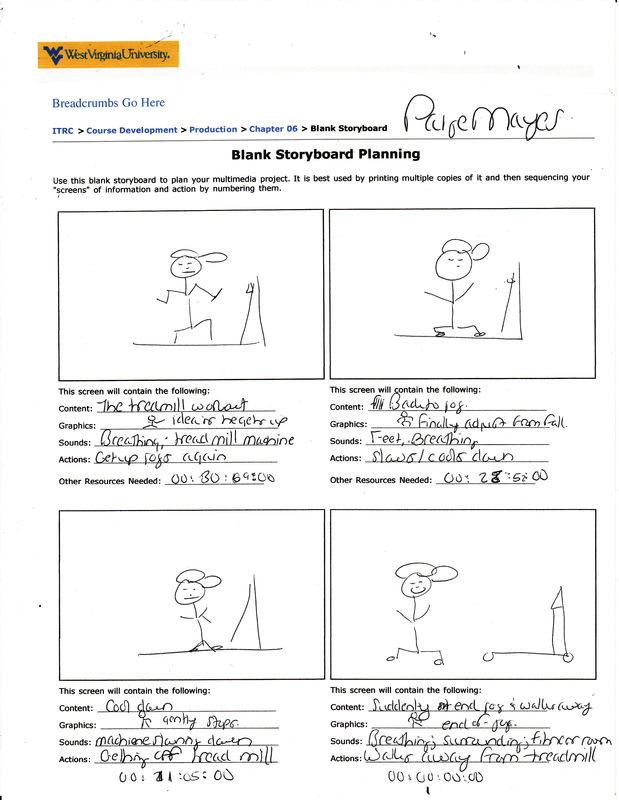 Those are basically my main points of the storyboard.